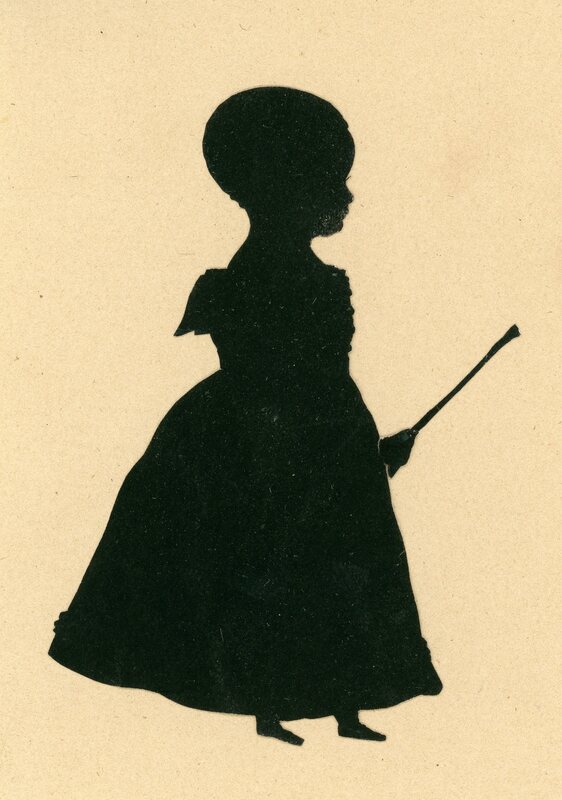 This delightful silhouette shows a young child in a wide-shouldered dress and dainty little shoes holding what appears to be a stick. 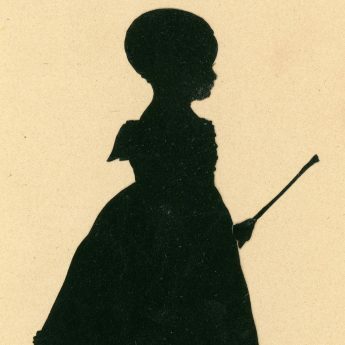 It is expertly cut to show a little bit of hair on the nape of the neck, buttons down the bodice of the dress and even an eyelash. 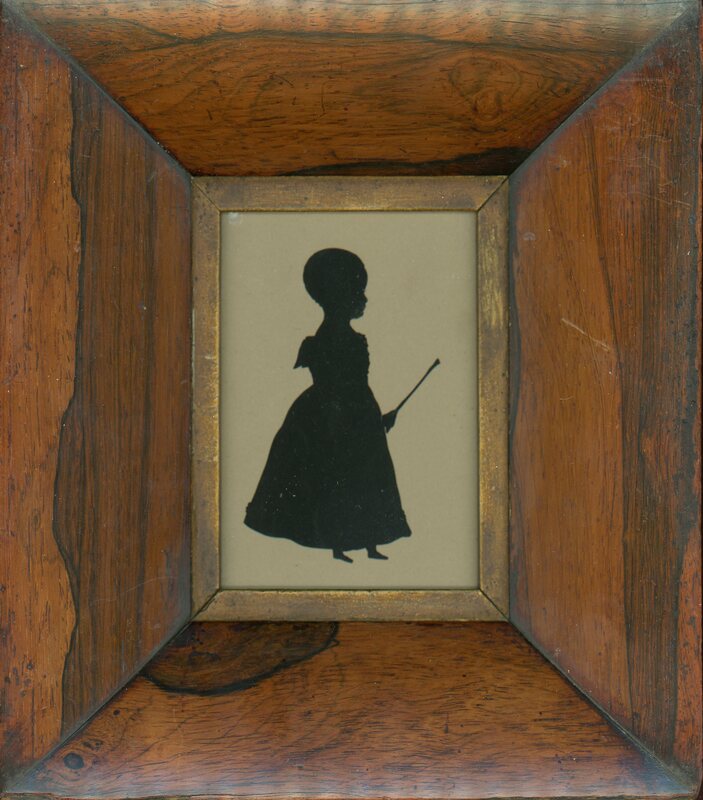 The profile resides in a handsome rosewood frame with deep sloping sides with a (now over-painted) gilt slip. Fine condition.